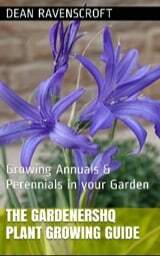 These hardy annuals or half hardy annuals reach a height of about 30 cm. Helipterum carry daisy like flowers of red pink or white that flower in the summer. Their size makes them ideal border plants. 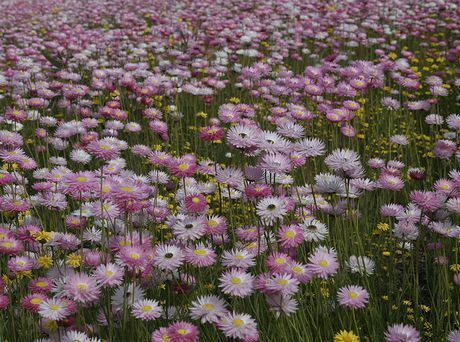 Some of the common names for Helipterum include Everlasting, Immortelle, Australian Everlasting, and Mangles Everlasting. Helipterum pierrot - Crisp Everlasting by Anniesannuals; creative commons. Rhodanthe chlorocephala (previously Helipterum) Paper everlasting by Quadrapop; creative commons. Common Names: Australian Everlasting, Crisp Everlasting, Immortelle, Yellow Billy Buttons. Life Cycle: Hardy annual. Half hardy annual. Height: 6 to 20 inches (15 to 50 cm). Flower Details: Red, white, pink, yellow. Daisy-like. Buttons. Foliage: Grey-green leaves. Wiry stem. Sow Outside: Cover seed. A few weeks after the last frost. Spacing 6 to 10 inches (15 to 25 cm). Sow Inside: Usually started indoors in cooler areas. Use peat pots. Germination time: two to three weeks. Temperature 70 to 75°F (21 to 24°C). Seven or eight weeks before expected last frost. Transplant outdoors a couple of weeks after the last frost. Requirements: Full sunlight. Sandy soil. Light soil. Dry soil. Provide support. Miscellaneous: The Helipterum genus has been sub-divided many times. Plants that used to be found in this genus may now belong to the following genera: Anemocarpa; Chrysocephalum; Erymophyllum; Gilberta; Hyalosperma; Leucochrysum; Rhodanthe; Syncarpha; and Triptilodiscus. It is also synonymous with the Acroclinium genera. Everlasting are valued by flower arrangers as once dried their flowers last for a very long time. They therefore make an ideal plant to grow in the garden. If you want to grow them outdoors from the off, then sow the seeds about a month before the last frost of spring; simply cover the seeds. 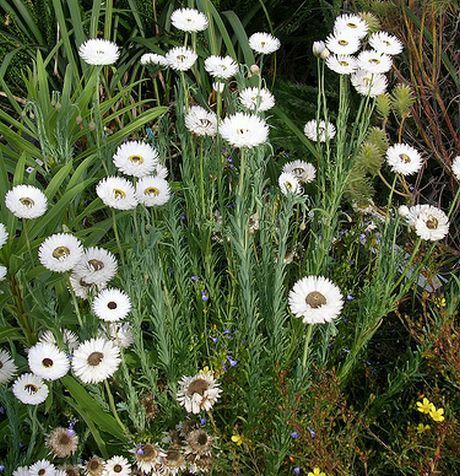 Everlasting like to grow in a sunny part of the garden into a light sandy soil. If you want to start off Everlasting and other Helipterum members indoors first then the growing process should start about 5 weeks before they are due to be transplanted into the garden after the last frost of spring. they should be sown in peat pots, and the seed lightly covered with soil. it will take from between two to three weeks to germinate at 18 to 24 degrees Celsius. Once ready they should be grown outdoors, spaced about 20 cm apart. As Everlasting plants are attractive to aphid you may like to either encourage ladybirds or treat the plants to prevent infestication.